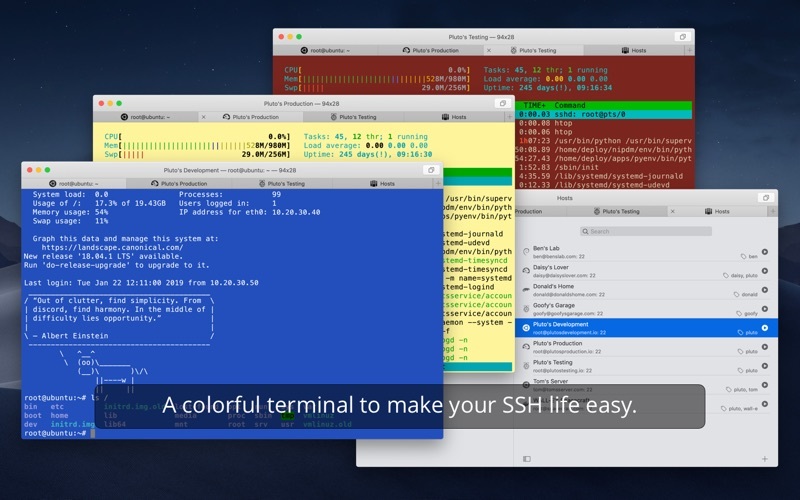 Core Shell – SSH Client por Codinn Technologies Co., Ltd.
A full featured terminal with built-in OpenSSH support, it’s focused on managing and login to hosts efficiently. Don't waste your time; be productive. 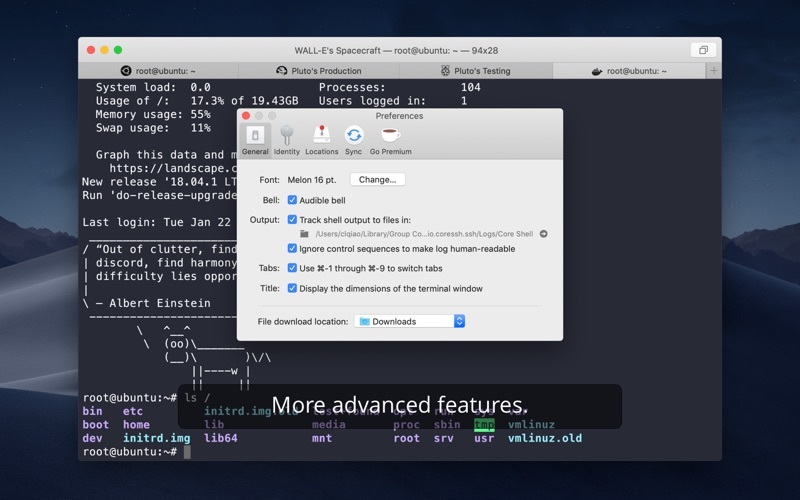 • Compatible with Terminal.app and xterm. • Supports ANSI 16 and 256 color palettes, as well as 24bit true color. • Passed cases of *vttest* – a strict VT100/VT220/VT420 terminal functionality test suite. • Everything in OpenSSH, agent forwarding, certificates, proxy jump, etc. • Can read your existing `ssh_config` file as the source of advanced options, especially helpful for experienced users. • Can work with GnuPG agent, YubiKey, Authy and Google Authenticator. 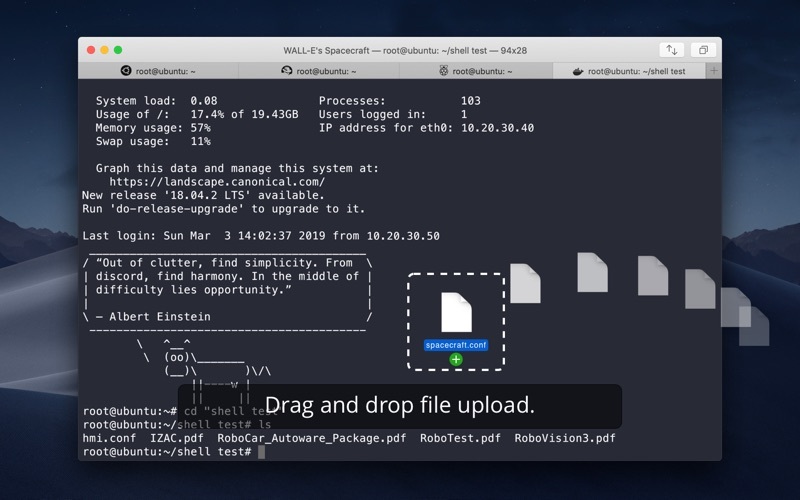 • Upload files by dragging and dropping to the shell window. • Download remote files with single click on context menu or press a key combination. 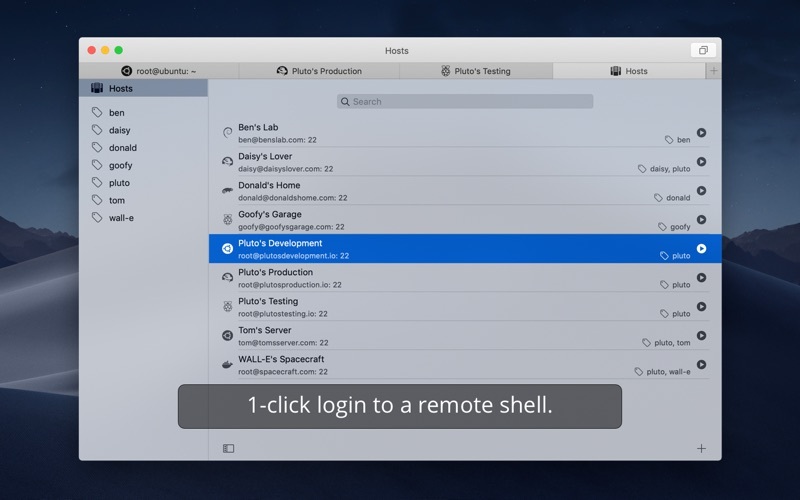 • Tightly integrated with macOS Keychain, don't have to enter passwords or passphrases repeatedly. • It's totally optionally, you can opt-in or opt-out at any time. • A handy way to tune per-host advanced options. • For every ssh directives, there is a contextual help provides immediate information, no more googling. • Always tries to restore your connections after network failure or waking up from sleep. • Our color optimization ensure that colorful text always clearly visible. • Use tags to organize your hundreds or thousands of hosts. • Tag your host by a simple drag & drop actions. 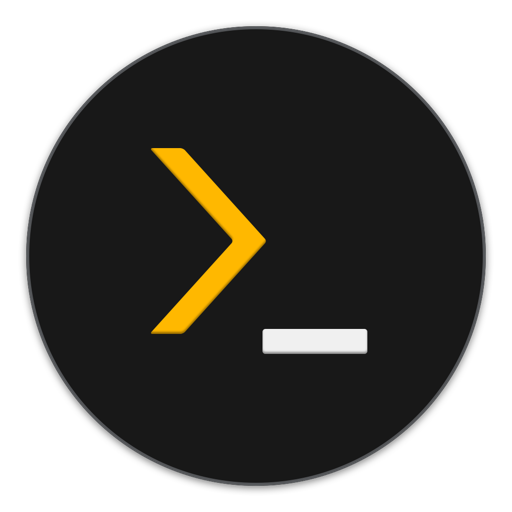 Go Premium to support our development and unleash the power of Core Shell. We'd love to answer your questions or just hear what you think about Core Shell. Use the community to request support or report bug. Discuss and explore Core Shell’s future with us by joining the community. Version 1.6.6 contains small improvements and minor bugfixes. Download and Upload files today! 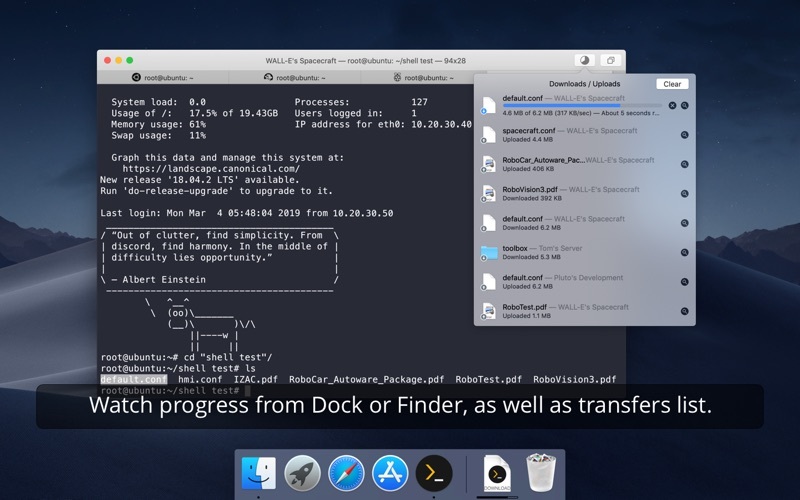 With version 1.6 and later, Core Shell gains the ability to transfer files over SSH, it's handy, fast and secure, please see https://community.codinn.com/t/2050 to learn how to use it.